Nothing beats a meal you can throw together and come back later and enjoy. You are going to love Crockpot Chicken with Black beans in Cream Cheese Sauce. Take 4-5 frozen, yes, frozen, boneless chicken breasts put into crock pot. Add 1 can of black beans, drained, 1 jar of salsa, 1 can of corn drained. 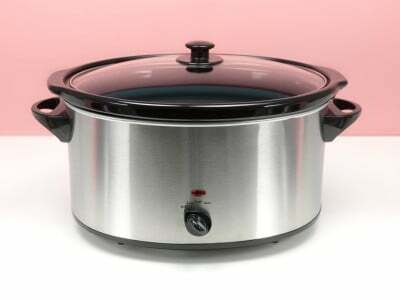 Keep in crock pot on high for about 4-5 hours or until chicken is cooked. Add 1 package of cream cheese (just throw it on top!) and let sit for about 1/2 hour. All done and enjoy! Special thanks to Amy for this recipe. It's hard to beat this popular Crock-Pot Chicken and Black Beans. Please note this is a crock pot recipe and has an extended cooking time. Has anyone tried this without the cream cheese??? I haven’t tried it this way. made this last night. Everyone LOVED it! We made soft tacos with it…awesome! I made this a few years ago and it was a total hit with my family and very good. I have made this many times and it is soooo good! I shred the leftovers and serve in tortillas. This is a great recipe for chicken enchilada’s…Our house loved it. This recipe has an extremely high ratio of tastiness to cooking effort. It took 5 minutes to throw everything into the crock pot, then I didn’t touch it for the whole afternoon. Really surprised how the chicken came out – I expected the salsa to soak into it like a marinade, but they stayed tender and juicy. After the cream cheese is stirred in, the sauce looks like vomit, but we couldn’t stop eating it and had no leftovers. Will be making this again soon. My KIDS are very picky eaters and just about the only thing they eat is chicken, We were getting sick and tired of chicken so I found this recipe and we all enjoyed it even the kids as I was nervous b3ecause of the salsa they wouldn’t eat it they didn’t even know it was in there. I made a side of steamed rice and put the chicken on top, as it was so tender it just broke into bite size pieces, it also was so juicy… excellent recipe 5 stars for sure!! !